Painter, graphic artist, writer, experimenter with 'read-made' art - throughout his life, Man Ray oscillated among various disciplines. Nonetheless it was primarily as a photographer that he achieved fame as creator of a richly varied ceuvre in which the photograph serves less to illustrate reality than to express the artist's surrealistically inspired images, fantasies, and visions. Man Ray's first solo exhibition in Paris included paintings, aerographs, and collages, mostly brought from New York in his steamer trunk. 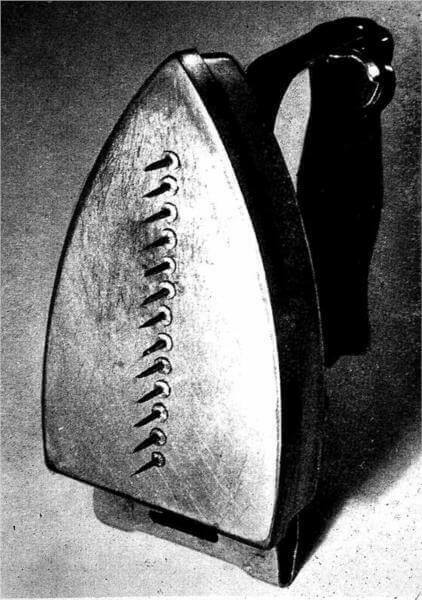 Not listed in the catalogue was an object Man Ray constructed on the very afternoon his show opened: he glued a row of fourteen tacks to the bottom of an iron and added it to the works on display as a gift for the gallery owner, the poet Philippe Soupault. With its menacing blend of domesticity and sadomasochism, the object apparently attracted unusual attention by the end of the day, Gift had vanished.